Summary: Last week, Dr. Luke filed a second defamation lawsuit against Kesha’s mother. Music producer Dr. Luke has slammed Kesha’s mother, Pebe Sebert, with a second defamation lawsuit. The suit was filed in Tennessee last Wednesday; and Dr. Luke, real name Lukasz Gottwald, said it was because Sebert continues to “publicly defame” him, according to The Huffington Post. Dr. Luke first filed a defamation suit against Sebert in 2014. Her daughter, singer Kesha, filed a lawsuit against him, wanting to break her contract; and in her explosive lawsuit, she claimed he had drugged and sexually abused her for almost a decade. Recently, Kesha dropped the lawsuit in California and is back to work. Dr. Luke claims Kesha and her mom have publicly tarnished his reputation in order to be released from her contract. He has repeatedly denied Kesha’s abuse allegations. 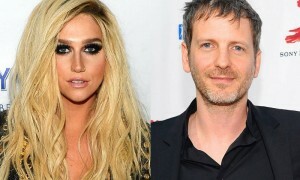 According to The Wrap, Dr. Luke is seeking an unspecified amount of damages, but it is reported that the damages could be greater than $75,000. Do you think Dr. Luke can win his defamation lawsuits against Kesha’s mother? Let us know in the comments below.